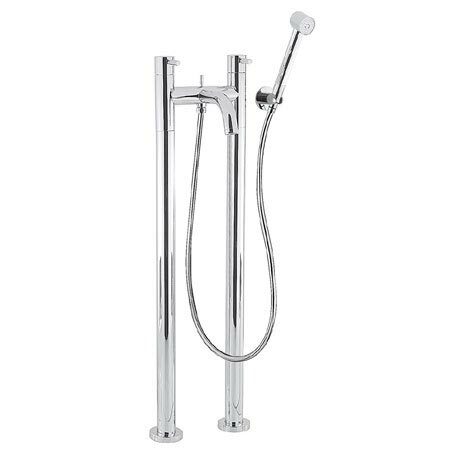 The Design Floor Mounted Freestanding Bath Shower Mixer with shower kit from Crosswater combines a stylish lever design together with ease of use. This tap features a sleek, round body and curved spout, complemented by matching round lever handles incorporating ceramic disc valve technology. Suitable for low pressure systems of 0.2 bar and above. Manufactured from solid brass and comes with a 15 year guarantee from Crosswater.